Ocean Park offers “Exhibit Walk” tour for students in kindergartens and schools. 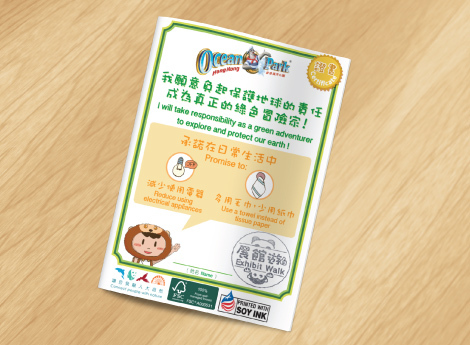 Ocean Park’s educational team will lead the tour, show the students around the Park, and teach them about animal conservation. 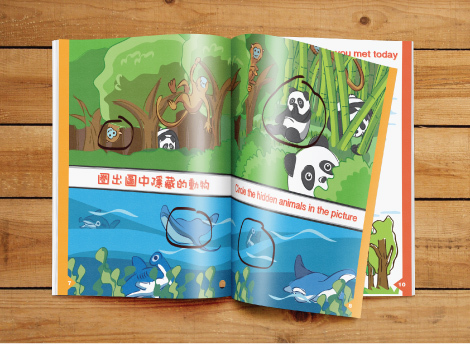 This guidebook is for the students to play games, collect stamps, and take notes while participating in the tour. Two guidebooks – “Land and Sea Excursion” and “Backpacker Journey” – are designed and published for two different routes of the tour. The children will follow the instructions to explore different parts of the Park. 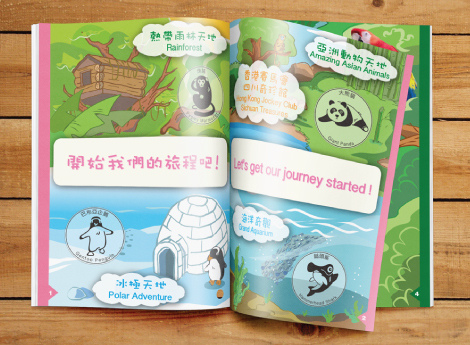 They will play the mini-games presented in the guidebooks to collect stamps and learn about the animals. The design of 4 stamps is based on the featured animals, and these stamps are placed in 4 different museums. 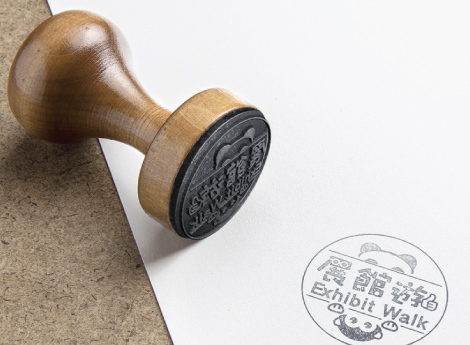 The students have to finish all tasks in the guidebook to collect the stamps at each museum, in order to get the final stamp of the tour — “Exhibit Walk” Stamp on the personalised certificate. This stamp collection approach motivates the students to get more involved in the tour, and allows them to better recall the conservation messages after the tour.